this strange little thing is a new reverb plate driver element. 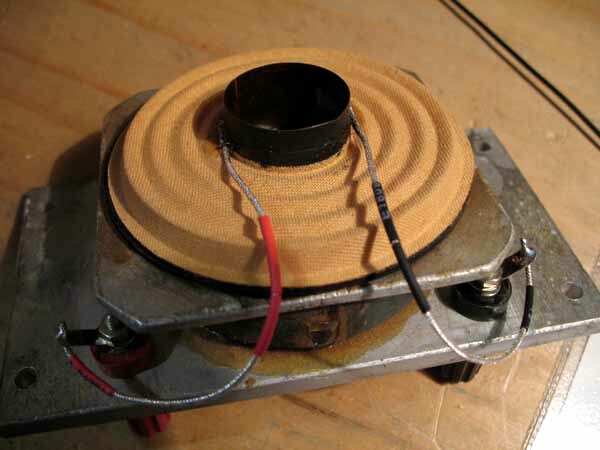 essentially its a speaker magnet and voice coil assembled with a double inverted spider (which holds the voice coil in the magnet gap) and without the normal basket frame and paper/poly speaker cone. a naked motor to vibrate the sprung steel plate. this is the old blown up dilapidated one. 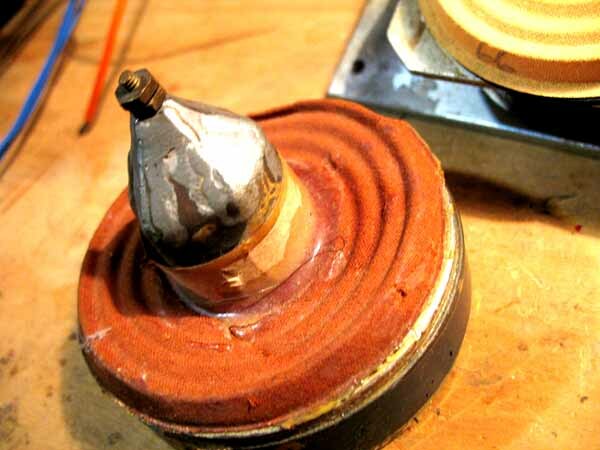 see the handmade brass cone with the little nut retainer on the top … thats the kind of thing i need to make next for the new driver element. shaped from thin brass sheet and soldered. i have two types of pickup device ready to go. a barcus berry hotstuff – hotpoint – hot&hard(?) … and a PZM contact mic. these plates are close now. ive yet to make any driver or pickup amps yet of course. 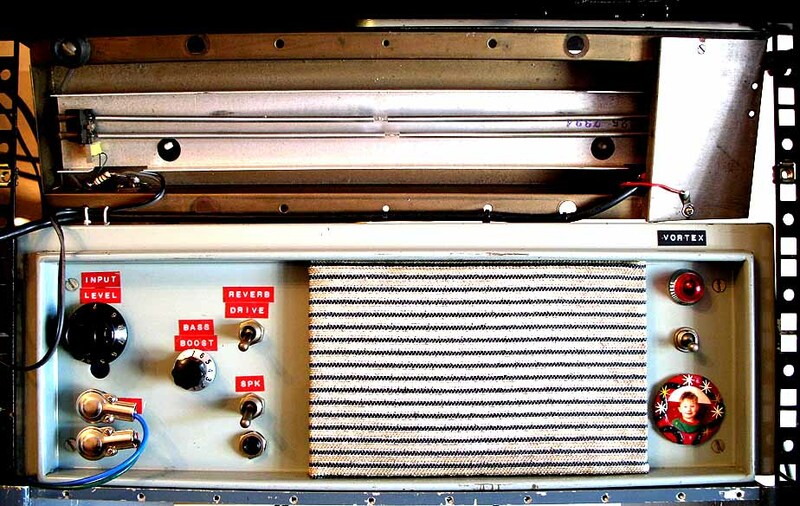 for the get going i’ll use my vortex spring reverb – chassis. its got the right kind of amps to fire up the plate. just for the meantime. im thinking of making the amps into old radios (with internal speakers). so for to allow double life as occassional penthouse apt salon/saloon valve mojo playback unit. or room reverb amp. or office ipod playback amp.